Rising on a hill above the Danube River, Bratislava Castle houses a branch of the Slovak National Museum, with displays from Roman artifacts to 20th-century arts and crafts. Short stay visas include Slovakia tourist visa, Slovakia business visa, Slovakia short-stay visits by relatives and friends of EU nationals. This post will also assume that you will be applying for a Schengen visa in the Slovakian Embassy. Under normal circumstances, for a layover or transfer between two international flights the foreigner can remain in the international transit zone at the airport without any visa. However, some nationalities are subject to visa requirements, even if they do not leave the international transit zone. Airport transit visas entitle the foreigner only to pass through the international transit area of airports. This visa entitles foreigners who are traveling from one non-Schengen country to another non- Schengen country to pass through the Schengen States. The transit cannot exceed 5 days. This visa entitles foreigners to enter the Schengen countries for a visit or several visits, but the duration of the stay cannot exceed 90 days within a period of 6 months from the date of the first entry. A visa can be granted for one or more entries. Long term visa can be given for the purpose of granting a residence permit in the Slovak Republic or for the purpose of fulfilling obligations arising from international agreements or where it is in the interest of the Slovak Republic. 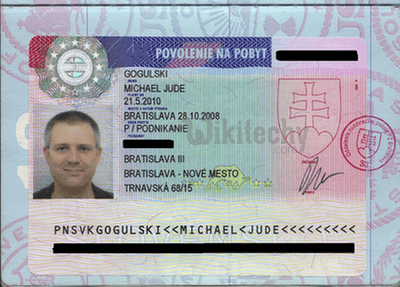 With this visa the foreigner is allowed to stay on the territory of Slovakia during the period of its validity and it allows him/her to travel across Schengen countries, but the duration of the stay cannot exceed 90 days in any period of 6 months. Applications for short stay visa are accepted at the VFS application centre. 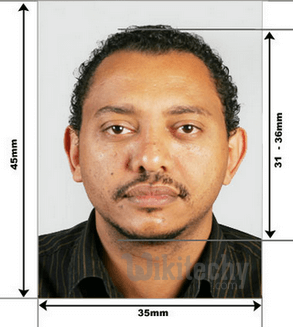 Complete you visa application form and affix your photograph. Also, please mention name along with surname of father and spouse. Visit the Slovenia Visa Application Centre during the working hours and receive a token number. Please click here to check address of the center you wish to submit your application at. Submit your application at the VFS centre along with the applicable fees. The visa fee for applicants applying from All India is payable in cash only. Collect your passport from the Visa Application Centre or avail the option of courier delivery. Please ask the officer at the VFS Desk regarding more details about the courier facility. Update: You can now fill the entire Schengen visa application online and take a print out if it. No need to run around for a pen, no need to worry about typos. Passport with at least two blank pages and valid for at least three months from the visa application date is mandatory. If you have an old passport, then even that needs to be submitted along with the application. Two photographs as per the spec mentioned by photo specification for Slovakia visa application. Personal Covering letter from the applicant, explaining in detail the purpose of the visit. This needs to explain in detail your entire travel itinerary, all the documents that you have submitted in order addressing the Embassy of Slovakia in your area. Not to worry, we have attached a sample that you can modify for your needs. A medical insurance with a minimum cover of €30,000. There are of course, many websites online which can provide you with an insurance. But keep in mind that these companies are insurance agents and it is in their interest to sell you the most expensive insurance. See our article to get the best travel insurance for Schengen visa requirement. Embassy of Slovakia does not hold responsibility for the expenses or loss incurred if you buy a flight ticket in advance and your visa application is cancelled. If you are planning to travel to any other country other than Slovakia, then you need to have flight itineraries for each and every city in your plan. Hotel booking, hostel reservations for Slovakia visa, or any other country that you are planning to stay. So, you will need to make all the hotel bookings and reservations before you leave. Again, you can use an online travel agent to make hotel reservations for visa applications for you without you having to swipe your card. This may not seem important but when you factor in all the currency conversions, filling up each and every form and HUGE cancellation fee if you can’t make it to one place then it is always reasonable to get it done through online agents. An added benefit is most of the travel agents charge you about $50 for the entire trip and not for each and every booking, which is a bargain when you factor in currency conversion charges. If you are UK citizen: Proof of financial means to cover the cost of the intended stay (latest three months UK current account bank statements (original and copies) showing a positive balance with a minimum amount of £ 500.00 regardless of the length of stay in the Schengen States plus and extra 10% of this amount per day per person when stay in Schengen States exceeds the 10 days. Statements need to show the last 3 months’ salary payments and applicants home address in UK. Cash or travellers cheques are not accepted as proof of financial means. riginal bank statements of the applicant for last three months, with the original stamp and signature of authorized signatory of the bank (Online Bank statements are not acceptable). This is a mandatory statement. Employment contract or your latest 4 months’ salary slips. Leave permission from employer. You can download a sample of it from our website. The Visa Fee and VFS Service charges are applicable per application. The above-mentioned Visa Fee is to be paid only by cash. Applicants applying at the Slovenian visa application Centre shall be levied a service charge of INR 1500 (inclusive of service tax 14.5% & education process) payable in cash. Please note Applicants applying at Mumbai, Chennai, Kolkata, Bangalore and Hyderabad Centre need to pay additional courier charge which will include two-way courier charges pertaining to the transfer of visa applications to New Delhi and sending back to regional VFS Visa Application Centres. Please make a note of the courier charges as applicable. INR600(inclusive of service tax 14.5 % & education process). Non-EU nationals should have the equivalent funds of US$50 per person per day for their stay in the Slovak Republic. EU nationals do not require any visa for any type of visit or stay in the Slovak Republic. Citizens of the United States, Canada and Mexico are not required to have a visa for a period up to 90 days. Visas are required for work and stays exceeding 90 days. If your slovakia job search and application for the slovakia visa and slovakia work permit have been successful, you should start preparing for the slovakia job interview. Do not forget to take a look at Slovakia dress code because how you dress is the one of the most important attribute in being hired. Good luck with your Slovakia visa!